Mandy Barnett: quite simply, a virtuoso performance of sensitive, nuanced vocalizing, as good as it gets, in service and bringing fresh energy to a clutch of beloved seasonal standards. 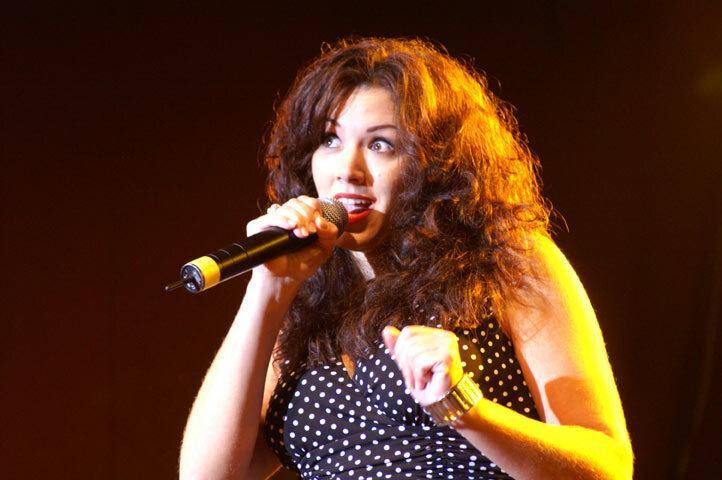 Despite a boatload of critical acclaim over the years, the expected breakthrough commercial smash has eluded Mandy Barnett: her highest charting single has been 1996’s “Now That’s All Right With Me” (from her self-titled debut album, which peaked at #60), her highest charted album (1999’s Owen and Harold Bradley-produced I’ve Got a Right to Cry) rising only to #45. She owns the role of Patsy Cline in the stage production Always…Patsy Cline, which she began performing as a teenager (she was but 12 years old when she turned heads performing “Crazy” at the Grand Ole Opry). This is not the place to debate the various career twists and turns that have produced this resume, but rather to emphasize how the lack of a big smash hit does not correspond to a surfeit of artistry. 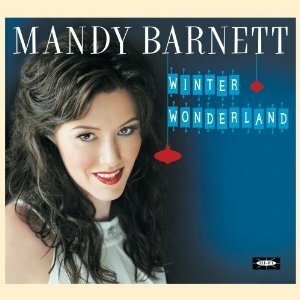 It’s unlikely a Christmas album will do what her two studio albums from the ‘90s could not do, but if one could, Winter Wonderland would be it. It is, quite simply, a virtuoso performance of sensitive, nuanced vocalizing, as good as it gets, bringing fresh energy to a clutch of beloved seasonal standards. Indeed, as the songs go, there are no surprises here. You have to admire Barnett’s audacity in finding her own way into fare as familiar as “White Christmas,” “I’ll Be Home for Christmas,” “Have Yourself A Merry Little Christmas,” and for bringing restraint and endearing ache to “All I Want For Christmas Is You” in a lush, sumptuous treatment that makes up for the abuse heaped on it by Mariah Carey, My Chemical Romance and others over the years. Whenever we speak of Mandy Barnett, though, we must always speak of Patsy Cline, because you can’t get away from the similarities in the huskiness of their voices, in their timbre and the personable phrasing they deploy to add dimension and depth to lyrics. But listen closely to Winter Wonderland, and you’ll hear Barnett fall into a dreamy, slightly ringing upper register full of longing and plaintive ache reminiscent of no one so much as Connie Francis—as on the country-inflected torch treatment of “I’ll Be Home for Christmas,” featuring both strings and a smidgen of weepy steel guitar (by Lloyd Green), as well as a male chorus; and lo, Connie did this number to a T on her 1959 holiday album, Christmas In My Heart, with soothing woodwinds where Barnett (who also produced this disc) employs an evocative cocktail lounge-style piano and the steel in an approach less overtly hopeful than Connie’s, but equally reliant on the swoon factor. In keeping with the romantic tint of her album, Connie rendered “Winter Wonderland” in pure pop terms, with abundant strings and woodwinds swooshing through at times, but Mandy kicks off the proceedings here with the same song stepping out in a frisky, steel-infused western swing arrangement, and she sounds happy as a lark, cheery and welcoming throughout. Orchestra and steel engage again, subtly, at the close of Winter Wonderland on a string-rich version of “Have Yourself a Merry Little Christmas” that goes for the romantic KO in Barnett’s reading, now sultry, now yearning, always sensual; this is in marked contrast to Connie’s restrained, introspective treatment, a minimalist concept with music box chimes and a soft, near-quizzical attack by the estimable interpreter. Interesting curiosity: Barnett’s Christmas album is bookended with two of the three songs also appearing on Connie’s. Otherwise, Barnett goes about the business of putting her stamp on some wonderful seasonal fare oft heard but refreshed by her personality and energy: Carl Sigman’s “Marshmallow World” is a bright, pretty pop confection with zinging strings and a sprightly male chorus; zesty twin fiddles announce an ebullient western swing take on “Here Comes Santa Claus,” with Barnett swinging from first note to last, and a honky tonk piano (played by either Gary Prim or Tony Migliore) spicing things up about midway through; Harold Bradley’s lively electric guitar intro establishes a graceful gait for “Let It Snow! Let It Snow! Let It Snow!” and Barnett inturn sounds every bit as carefree and joyous as the lyrics suggest. Whatever was happening in the studio, the end result is a holiday album in which the spirits of Christmas past, present and future strive within it and deliver a durable addition to this special time of year.